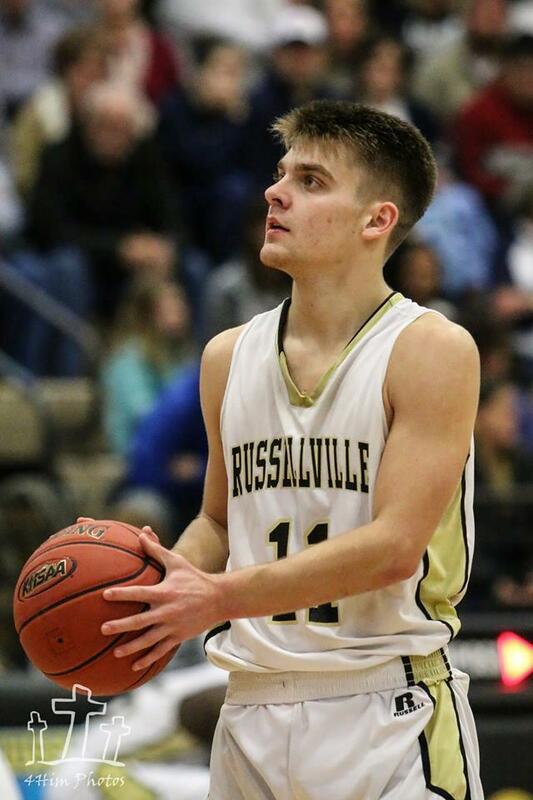 Russellville senior Jacob Naylor leads the state in 3-pointers, according to the KHSAA. He is hitting 4.2 treys per game, a tenth more than second place Cody Porter of Shelby Valley. Naylor hit 42 of 98 long-range attempts in his first 10 games for 42.9 percent. The KHSAA lists Naylor as the sixth leading scorer in Kentucky with an average of 28.4 points per game. The state leader is Dontaie Allen of Pendleton County, who is averaging 42.9 points a game. Naylor and teammate Elijah Kemp were each named Player of a Game in the Ohio County Christmas Tournament this weekend. The Panthers won two of three games in the tournament. The Logan County Lady Cougars got off to a good start in the South Central Bank-Halton Classic Thursday in Scottsville. Coach Finley Baird’s team beat Covington Holmes 79-64. Friday at 4:15, the Ladies take on host Allen County-Scottsville, which beat Nelson County convincingly Friday. On Saturday, Logan will meet Nelson County at 2:30 p.m. After losing two their first of their first three games of the season, the Lady Cougars have won five of their last six outings. Logan County senior Caden McKinnis is piling up football honors and setting up his future. Cougar coach Todd Adler announced Thursday that the offensive lineman/linebacker has been named second team all-state by USA Today. Recently he was named the top player on the Cougars' 10-2 regional semifinalist team, and he signed to play for Austin Peay State University. He is the first LCHS player to sign to play NCAA football since Landon Stratton with Murray State in 2014. 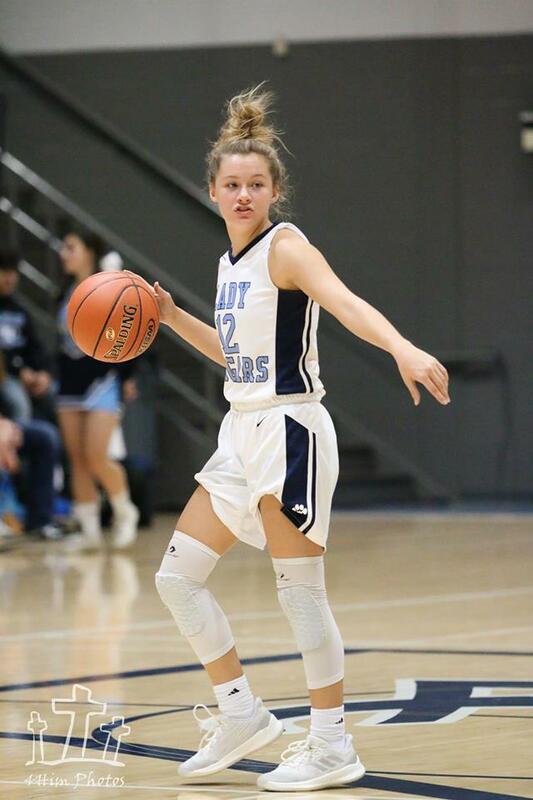 Logan County High School junior point guard Paige Vanzant has been named Leachman Buick Female Student Athlete of the Month by the Bowling Green Daily News. The three-year regular for the Lady Cougars scored a career-high 34 points in a 79-72 win over Hopkinsville Monday. She hit 11 free throws, 10 two-pointers and a three-pointer. The win ran Coach Finley Baird's team's record to 5-2, but the Lady Cougars lost to visiting Metcalfe County Thursday. A public retirement reception will be held next Friday, Dec. 29, from 2 until 4 p.m. for outgoing Logan Circuit Clerk Sherry Wilkins at the Logan County Justice Center. It is in Multi-Purpose Room 131 on the first floor. The former Sherry Johnson has served the residents of Logan County for 50 years, starting in the county clerk's office and most of the time in the circuit clerk's office. Twenty-seven was not a magic number for the Logan County Cougars Tuesday. They made 27 turnovers and hit just 6 of 27 three-point attempts. Still, Coach John Tinsley's team cut Bowling Green's 17-point lead to three before falling 68-62 to the Purples. Logan was 1 of 11 from long range in the first half, but senior Kelby Epley kept putting the ball up and got four treys to fall. He scored 16 of his game-high 18 points in the final period. Anthony Woodard played a big role in the comeback, but suffered a cut that cost him playing the fourth quarter. He finished with 12 points. Third Bell's defense was big before he fouled out. Leading the way for the Purples was Isaiah Mason with 16 points. See his Logan County connections in a Sports article on The LoJo. BGH improved its record to 5-1. The Cougars suffered their first loss and are 6-1. From Archie Beck: Santa Claus will be at the K.P.Hall Christmas Eve from 3-5 p.m. He will be greeting and handing out gifts to our youth. Refreshments will be served. The public is invited. Sponsored by The Concerned Citizens of Logan County. The Russellville Lady Panthers will host Frederick Fraize in the second game of the school’s Food Bank Hoops Classic. Jo Byrns and Clarksville Northeast high schools are playing the first game. Coach Cameron Jackson started similar events when he was coaching Campbellsville (beginning in 2008) and Berea (2012). He says he’s proud both events are still going strong. Those attending are encouraged to bring food donations to go to families in need for the holidays. 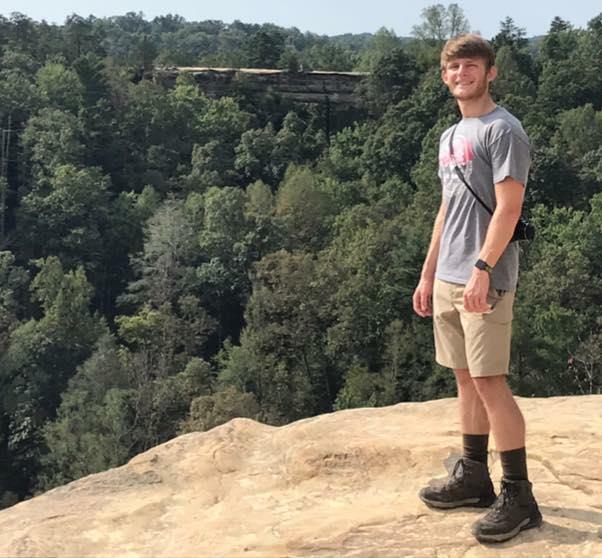 Russellville attorney Joe Hendricks has announced today’s death of his son, Logan County High School senior John Hendricks, saying, “It appears that he died on a self-inflicted gunshot wound. We don’t have a lot of answers.” His mother, Kaye Hendricks, is a Central Office Administrator with Logan County Schools. 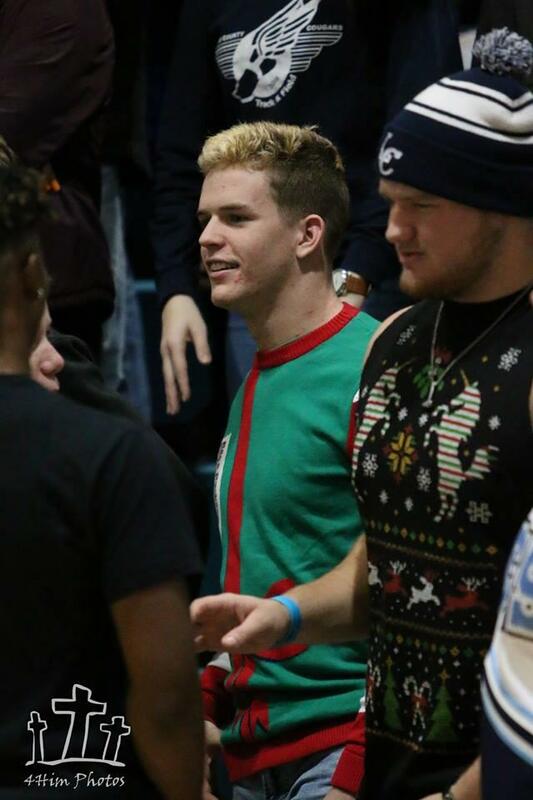 John Hendricks was one of the most outstanding students in the history of LCHS. This year his achievements have included being named the state winner of the Wendy’s Heisman Award, placing at state in cross country running, starting a Junior Optimist Club, and being chosen Homecoming King. He was a Governor’s Scholar. His death affected the school so much that tonight’s scheduled district basketball doubleheader at Todd Central has been postponed. Funeral arrangements are incomplete at Summers, Kirby & Sanders Funeral Home. Gov, Matt Bevin plans to be in Russellville Friday to hold a public forum. According to Logan County GOP Chairman Barry Kennedy, he will be in the Fiscal Court Room at this Historic Logan County Courthouse, beginning at 1 p.m. Karren Logan of the Logan Chamber of Commerce says topics will be "economic development and other key initiatives as well as whatever might be on your mind concerning Kentucky." This is believed to be Bevin's first public appearance in Logan County in the almost three years he has been governor. He plans to run for a second term next year. From Logan Telephone Co-op: Join us at our Christmas Open House on Friday, Dec. 14 from 8 a.m. to 2 p.m. We will have door prizes, refreshments, and free gifts while they last. We look forward to seeing you then! Jacob Naylor broke an almost 40-year old school scoring record Tuesday with 48 points in leading the Russellville Panthers to a 78-76 win over visiting McLean County, But it took a layup by fellow senior Eljah Kemp with fewer that four seconds remaining to give Coach Rex Booth's team its first victory of the season, McLean star Logan Patterson fouled out with 30 points on a charge immediately after Naylor had broken the record on a 3-pointer, but Naylor fouled out less than a minute later. The old school record was 45 points scored in 1979 by Roderick Holman, who is one of four former Panthers to be inducted into the Russellville Alumni Association's Athletic Hall of Fame in a few weeks. Russellville's Jacob Naylor and McLean County's Logan Patterson are locked up in an impressive offensive show at Jim Young Gymnasium. Naylor, who is averaging 24 points per game, had scored 27 points at halftime, including five 3-pointers. With three minutes left in the third quarter, Naylor hit three straight free throws to bring his total to 32. Patterson, who is averaging 28 points an outing, had 23 points at the intermission and broke the 30-point pleateau with 2:30 in the quarter. Russellville led by six at the half and had three leads of nine, but the Cougars keep cutting the margin down. Naylor brought his total to 38 with 0:35 remaining in the quarter to put the Panthers up by six. Russellville leads 61-55 going into the fourth quarter. The Russellville swim team "made waves" at the Warren County Invitational Saturday: Personal Best Times were recorded byDaisy Lewis (50 Free),,Katie Ray Holloman (100 Free), and Landon Bollenbecker (50 Free). Powering his way to a second place finish was Benjamin Slack (200 IM). For the 40th consecutive Christmas season, the deGraffenried Chorale will present a holiday concert in Russellville. It will begin at 2:30 p.m. at the United Methodist Temple. The theme is "A Nostalgic Christmas Celebration, 40 Years of Singing." The deGraffenried Chorale was organized in 1978 under the leadership of legendary RHS music director Hazel Carver. One of the original members of the chorus, retired Stevenson Elementary School music teacher Mary Beth Dowden, has been the director for several years. Also still singing from that original cast are Roy Gill, John Lees, Carolyn Mallory, Robert Stuart and Frank Walton. The accompanist for the Chorale is Susan Fox. Admission is free but donations will be accepted. Blue Christmas is the theme of Saturday's Guthrie Christmas Parade, which begins at 10 a.m. The parade will honor former Police Chief Matthew Humble, who died this fall from cancer. The margins were vastly different, but both girls teams from the Land of Logan picked up wins in their district openers Friday. In a game that was tight all the way, Logan County’s Kennedy Nichols scored on an inbounds play with 40 seconds remaining, and the Lady Cougar defense forced Franklin-Simpson into an off-balance 3-pointer at game’s end. As a result, LCHS won 43-41. Nichols finished with 12 points with Addie White & Sarah Beth Hale scoring 11 each. 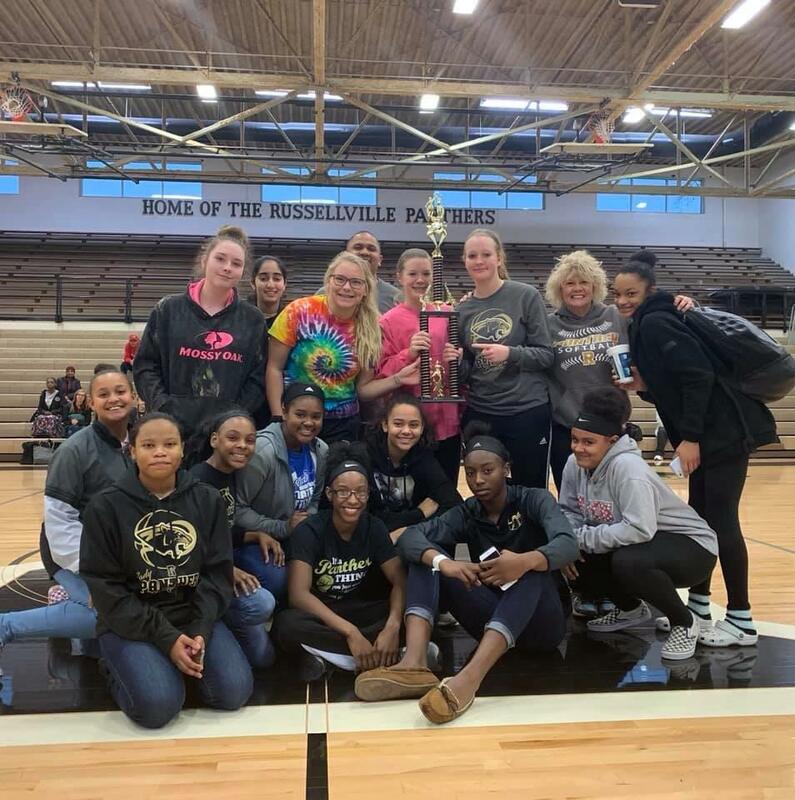 The Lady Panthers of Russellville were dominant the entire game on the way to a 59-27 win over visiting Todd Central. Senior DeShayla LeBlanc scored 19 points, 13 of them already in the books midway through the second quarter. Eighth grader Amiyah Collier added 12 points and Anastasia Dowlen 10. More details will appear in later stories. A full day of Christmas activities will grace Lewisburg Saturday, Dec. 8. It will begin with a Christmas Bazaar conducted by the Books to Go Library at 8 a.m. A tree lighting ceremony will be held at McKinney Park at 4:30. Then the parade will start at 5 p.m. with those who want to ride in it lining up by the old Nelson Company plant from 3-5 p.m. The Logan County Chamber of Commerce will hold its Christmas Open House on Friday, Dec. 7, from 7:30-9:30 a.m. All Chamber members are welcome for breakfast and fellowship with other members, including the board and the Ambassadors. Christmas at Creekwood will begin at 4:30 p.m. on Tuesday. The festivities will begin with Allie Colleen, who will be singing prior to Santa arriving between 6 & 6:30 p.m. Santa will be bring Mrs. Claus, head elf, reindeer and a mini horse. Bring your camera for pictures or if not Creekwood will have someone there to take pictures if needed. Logan County High School Athletic Director Greg Howard has announced these dates for special events, all on Fridays: Jan. 25—Hall of Fame induction; Feb. 1—Homecoming; Feb. 15—Senior Night. Concerned Citizens of Logan County has clothing to distribute, some free and some for donations. The organization, which concentrates on children but also helps people of all ages, has multiple boxes of new clothing, provided by Toggle of Bowling Green. The clothing can be selected but a donation of whatever the recipient can afford is needed. In an exchange of toys provided to Agape Service Foundation for clothing, Concerned Citizens is also giving away shirts at its East Fifth Street Russellville location. Those wanting to ‘shop’ for these clothes need to make an appointment by calling Concerned Citizens on week days at 270-725-8127. Executive Director Dorris Vick is coordinating this effort during the holidays.